This article is a tutorial and guide to the FIFA 14 iOS app but if you're looking for more information, I'd highly suggest you check out the Supreme FIFA 14 Guide -- an expert FIFA strategy guide that will teach you how to dominate your opponent in FIFA and simply score more goals! FIFA 14 for iPad/iPhone features an Ultimate Team mode which is not too different from the Ultimate Team game mode most FIFA players have gotten used to with the Xbox or Playstation. In Ultimate Team, you will start off with a pack of players that will make up your first "Ultimate Team". The point of Ultimate Team is to win matches and trade your way to better teams and more coins. However, making a lot of coins can be very difficult. Some people resort to buying coins through in-app purchases, but that is not necessary if you learn how to trade. There are trading methods that can make you millions of coins - but those are kept as closely-guarded secrets. I would highly recommend you check out the FUT 14 Genius Guide to learn some of these methods so you won't have to worry about making enough coins for the teams you want to build. These methods were developed by a trading expert who used economics principles to come up with them. 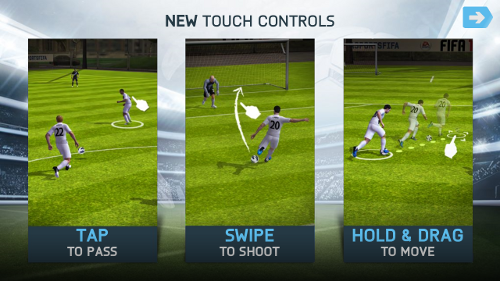 You can also take part in a penalty shootout in the FIFA 14 iOS app. You will be prompted to select the teams and a stadium. You can also select your kick taker lineup.